This June it was announced that Hilton would be entering into an exclusive credit card agreement with American Express as of January 2018. Previously Hilton was in a unique position, as they had co-brand cards issued by both American Express and Citi. I tend to think that competition is good for consumers, so I love when a company has co-brand cards issued by two different banks. However, in this case I suspect American Express was willing to pay the price for exclusivity, and I’d guess it wasn’t cheap, given the revenue that Hilton was giving up from Citi. Well, the good news is that Hilton and American Express are actually doing something really great with this exclusivity. Rather than keeping their current card portfolio, in January 2018 American Express and Hilton are refreshing their existing cards and introducing two new cards, including a business card and one that offers Honors Diamond status for as long as you have the card. Introducing a premium card: We’re introducing a premium card ($450/year fee) with a suite of luxury benefits designed for Hilton Honors members who want to earn rewards faster. Amex is further delivering on its commitment to further investing in premium. Introducing a business card: We’re introducing a business card ($95/year) for travel-savvy to help small business owners get the most out of every dollar spent and every mile traveled to invest back into their business. We’re marrying our expertise in small business with Hilton’s understanding of hospitality and travel so businesses have everything they need to get more business done. Refreshing existing cards: Hilton Honors American Express Card and the Hilton Honors Surpass Card from American Express will provide Card Members with additional benefits like no foreign transaction fees. The new $450 annual fee Hilton Honors™ Aspire® Card will offer 14x Honors points per dollar spent with Hilton, an annual complimentary weekend night, a $250 annual airline fee statement credit, a Priority Pass membership, and Honors Diamond status for as long as you have the card. That’s insanely generous. I would have been happy with top tier status for $450 per year, but when you add in a statement credit, annual free weekend night, and more, that really adds up. This card is very similar to the Hilton Surpass Card, which is currently Hilton’s $95 annual fee personal card (though it’s soon being rebranded, as I’ll explain below). The card offers Gold status for as long as you have it, Diamond status when you spend $40,000 on the card in a calendar year, a free weekend night certificate when you spend $15,000 on the card in a year, another weekend night certificate when you spend $60,000 on the card in a year, 10 free Priority Pass lounge visits per year, and more. The Hilton Surpass Card is being rebranded as the Hilton Ascend Card. Nothing is being taken away, but they’re adding a free weekend night certificate after spending $15,000 on the card in a year, plus 10 free Priority Pass lounge visits per year. This Hilton Honors American Express Card is maintaining all the same benefits as before, except foreign transaction fees are being eliminated. Wow… I’m so impressed. The two existing American Express Hilton cards are being improved very nicely, and we’re also seeing two new compelling Hilton cards be introduced. It’s awesome to see a new business credit card, though what I’m most excited about is Hilton’s new premium credit card. Diamond status just for having a card that has a $450 annual fee but comes with tons of incredible perks? Yes please! I imagine the only people who might not be too pleased are those who earn Diamond the hard way, given the increased competition for upgrades. Expect applications for these new cards to go live in a couple of months. 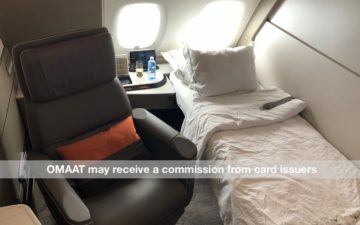 What do you make of the radical changes being made to the Hilton Amex card portfolio, and do you plan on picking up any of these cards? Think I may have to look into dropping my citi prestige for this one. Interesting, but I would need to know the sign up bonuses beforehand. AMEX is really stepping up its game. Okay SPG — matchup on this. 1)Very intrigued by the premium Aspire card. Very likely I’ll go for it. Lucky, I didn’t see any commentary about the $250 resort credit, though. Curious about this detail!!!! 2)Will we be able to apply for the Ascend card if we already have the Surpass card? Guess what. I will be Hilton Diamond forever. $250 Hilton resort statement credit <— more info?? Really exciting news. Are there any past data points on card rebranding affecting the once lifetime Amex bonuses? Will I be able to get whatever bonus is associated with the ascend if I’ve had the surpass? The hold times for AMEX concierge are already way too long. I’m hoping they ramp up additional people for this. AGree with others that the Aspire card sounds very interesting. If one values the $250 airline credit at $225, then the AF is just $225 and you get the free weekend night and $250 resort credit. Not sure what to make of the $100 WA/Conrad credit. ‪Wow, this is nice! @spg & @AskAmex please work together and create a similar Starwood Card 🙂 Btw congrats Ben for breaking the news 1st! Seems like it’s a no brainer to cancel the citi Hilton card right away now so that it doesn’t convert to ascend and potentially block a sign up bonus. Would you be able to double dip if booking Hilton properties (Waldorf) thru FHR via AMEX Plat? 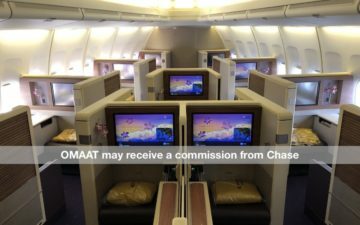 $100 Amex + $100 Hilton credit? DCS just died of multiple orgasms. Omg I will pay $450 for a premium spg amex anyday! Please American express. @Lucky – What does “when booking the exclusive Aspire Card package” entail, related to the new premium card..? The Premium card offer looks *very* strong. If that airline incidental fee includes gift cards, then it’s essentially a free card. If the sign up bonus is good, I’d immediately apply. And yes, the SPG card had better match up, or I’d be sorely tempted to change primary brand. Internationally available or only local? Now practically anyone will have already worthless Hilton Diamond status with its empty promises of suite upgrades and late checkouts. I’ll stick with SPG platinum. It would be great if the OPS posts started with which market it related to. We don’t all live in the US. What am I missing with the Business Card vs the Ascend Card? For the same annual fee, its better to have the Business Card. Or do I need to actually own a business to have the business card? So what happens to existing Surpass card members? Will their annual fees increase, or do they get to keep the $75? Be realistic guys. SPG isn’t going to be around for more than 1 or 2 years. They’re not going to whip up a premium SPG card. Disgrace by Hilton Honors. Handing out free Diamond status to US customers, while all others have to earn it the hard way… now HH Diamond is officially worthless. I really don’t much value in bumping from Hilton Gold to Diamond. I also find Hilton points scheme ridiculous. By having very high numbers you kind of have no clue what is really the value you are getting. 9x? 14x? 7x? 12x? Why not just keep it simple? Same goes for redemptions. I sometimes see rooms for example costing 253,750 points per night. What is the rationale? I really avoid Hilton just because it is very difficult for me to understand the value I am getting from my stays. This is definitely a reduction in benefits. As a loyal Reserve Card holder, to get the same weekend night certification I was enjoying, I now have to spend 50% more on the card. How is that NOT a reduction in benefits? My city’s airport has no Priority Pass Lounge and there is only a small increase in points multiplier. So, how again is the new Ascend card an improvement over what I already enjoyed before Amex and Hilton decided to take that card away from me? Would these cards be available for Canadian residents??? Adding Free Parking at Hilton Hotels/Resorts would have been a better benefit/perk. It is great to see the Hilton AMEX credit card portfolio expanded. The elimination of foreign currency transaction fees is a good competitive benefit with other cards. Earning a free night on both the Aspire and Ascend cards for $15K is a compelling reason to acquire or keep one of the two cards. The fee and benefits of the Aspire card for $450 pay for themselves, with the most coveted element being the granting of Diamond status. Honestly the main problem with HH Diamond is that there are already too many Diamonds. I agree that it’s a compelling card, but Diamond status is going to be even less valuable than it was. I’m not sure that giving away top tier status in any travel program (airline, hotel) via card is the right way to go. Hilton has been incredibly generous with status overall though, so maybe it doesn’t matter as much to them. But status should really be reserved for those that actually earn it. So, in other words, Hilton will completely dilute the pool of diamonds making things like upgrades all but impossible? @Santastico , I thought Hilton points are the easiest to value. It is 0.5 cent/ point. so you always divide by 2 to know you return. What ‘s there confusing? So come Feb 2018 will Hilton add a tier above Diamond? Just my guess, but I’m feeling a bit pessimistic today. Interesting that they seem to be using the card to push the resorts. I wonder if that credit requires attending their timeshare ownership pitch at the resort? Many Diamonds may already be familiar with the aggressive pitch for timeshare ownership both through Hilton channels and through 3rd parties. Some may remember that Hyatt had a short lived targeted promotion to Diamonds to stay Diamond if they got the credit card for as long as they kept it. There was such an uproar among the Diamond community that the promotion was declared an error. I am not sure if it really was a typo or they revoked it, but it seemed to be quite intentional. I wonder if we will see the same uproar with this one which in this case is marketed to all. Also, launch date is 1/18/18. Diamond status does not have the value it once did. In most hotels you simply get a regular room on a floor that has an “Honors Floor” sign on the hallways. The free breakfast benefit comes with increasing limitations in some hotels. I have been Diamond for 10 years and can count on one hand the number of times I was upgraded to a suite. I think they are making a mistake by giving automatic top tier status. The loyal Hilton customers are going to be pissed about this and now there is no incentive for them to stay at Hilton properties when they can go get this card and have more options on where to stay since status is already attained. I would never want SPG or MR to match this. Why? Because you’ll have even more faux-“top tiers”, and it will only lead to more benefit downgrades at the top tier. Simply unavoidable. Of course, among top-tiers in programs, Hilton is arguably the worst already w/Diamond, as we all know, so it’s not like there is much to cut away anyways. Too bad Hilton Diamonds don’t already have this stuff in writing as a promised benefit…LOL. 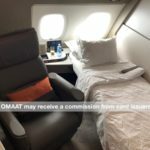 @FNT Delta Diamond – suite upgrades aren’t a promised benefit of the current HH program anyways (no mention of it on the HH Diamond page as we all know), so it’s not like you’re giving much up w/ an influx of new Diamonds. This AmEx Aspire Card will fit nicely in my wallet. I currently have the Silver Aviator, Plat AmEx, Chase Sapphire Reserve, and Hilton Reserve for about $1300 in annual fees. I’m easily getting twice that back every year. I’m cancelling the Citi Hilton Reserve and CSR next year. I’m based in D.C., so I’ll likely use the Aviator (American Flights/EQM spend) and the Aspire (Business travel). I still need a card for personal spend. I’m learning toward the AmEx. @Frank I don’t agree with dropping the CSR but you def need a card for everyday spend. Amex business blue makes the most sense. I wouldn’t put any spend on the aviator. I have seen a rumor that in line with the Aspire Card, Hilton is going to introduce a new Diamond+ tier. From what CreditDoctor wrote, it would be achieved by spending $60k on the card per year. What about for current Diamond members that achieve that through stays? Will Hilton offer Aspire card holders the ability to get to Diamond+ with 30 stays, regardless of spend? Right now, there needs to be a clearer explanation of why anybody would bother to stay as often with Hilton, if they have the Aspire card, and if a new tier is not going to be offered? With this visionary move, the most rewarding program just obliterated the competition, which was, in fact, already nonexistent! Simply unbeatable. The usual suspects will denigrate this change as creating too many Diamonds. With between 4K and 5K properties worldwide, there is plenty of the room under that umbrella to accommodate more Diamonds. A deal like this would be and WAS a problem for, say, WOH, but not for Hilton Honors. In fact, this reflects Hilton’s philosophy under their current visionary CEO, Christopher Nassetta, which says: “Give them status and they’ll come”, and giving status they will be! I agree with DCS, if people have Diamond status from the card and the high point earning it will push people to want to stay at Hilton. Now will it be successful in execution with all the edits no one knows. Baghdad Bob is back in full effect! Interesting that there apparently “is no competition” even though Hilton has a whopping ~10-15% of rooms available in the US. #FactsMatter. Everyone knows the value of something drops the moment you start to give it away for free (or practically free) – this is not complicated. You get what you pay for, folks. Watch the HH benefits start to drop from their already meager levels. we all look at this from our own angle. For a frequent traveler, to qualify a high status via the old way is not hard at all, so they would not like too many people to be “equal” with them. However for most people though, it is virtually impossible to do that many night a year to get any meaningful status. I am probably travel more than average but still hold no hope to qualify those elite status by stays or nights. Hilton has been the best option for me for long time. They do give out a very meaningful status ( gold) easily. By meaningful, I mean at least free breakfast. There redemption on lower to middle end properties is always plenty of good opportunities, if you value it as 0.5 cents a point. I understand their redemption on high end is not that good so many people like luxury travelling feel they are worthless and prefer SPG. Even if there is a new top tier, it basically pays for itself so it seems like it will be worth having for even one or two stays per year. Wonder if there will be a sign-up bonus too which would really seal the deal. Also, it seems like a great way to target affluent travelers. Most people will not want so many cards with high annual fees even if they essentially pay for themselves. There is no difference between Hilton Honors’ redemption at high end and, say, World of Hyatt’s or Marriott Rewards’ because one earns correspondingly more HH points per spend than one does WoH or MR points. What I mean is, e.g., one earns on average 3x more HH points/$ than one does WoH points — a 3:1 relative earn ratio. So, while the top award rate for a top category Hilton property is 95K, and that for a top category Hyatt property is 30K, the ratio of those two top rates (95K/30K) is also about 3:1, which means that when the ease of earning points is taken into account, HH awards and WoH awards cost almost exactly the same. The same things applies for MR awards. When one includes points earned through each program’s co-brand CC, HH awards are slightly cheaper than WoH’s or MR’s. On the other, SPG has, BY FAR, the most expensive awards, especially at their top-tier properties, because starpoints are the toughest to earn. Every blogger who has done the easy math reached the same conclusion. I’ll provide links to where I did the easy math, complete with glossy charts that you’ll love, so that no one else would need to, or I could send you to one or two travel blogs that did the modeling. LOL or…Hilton is a chain with thousands of HGIs and Hampton Inns and oh so few true luxury properties. It’s not that complicated…no need to rush in and obfuscate said poster’s issue with another SOP pointless SPG attack. What happens if we currently/already have both the no-fee Hilton American Express card and the no-fee Hilton Citi Card? Will the cards be merged? If so, will they add up the credit limits? What does that mean for the age of the accounts? If they won’t merge, will we have two of the same no-fee Hilton American Express cards? if so, what happens if we already have four personal American Express cards (which I understand is the maximum one can have)? Thanks! You are clearly in the wrong universe since my near-perfect success rate at clearing suite upgrades as HH Diamond is no illusion, and, with your mentality, I am sure that you will be stuck in your hellish alternate world forever because the changes are coming regardless of how you feel about them. Wow – I just realized between 1) the airline credit, 2) the resort credit, and 3) the free weekend night, Hilton is basically paying YOU to get this card. If I was an actual loyal Diamond, doing the 60 nights and spending the money, I’d be pretty furious – or maybe happy, as you could get the benefits and not actually have to do the stays. Watch the influx of new faux-Diamonds be offset by the drop in stays from actual Diamonds, who can now diversify their stays across hotel chains and not be forced into, you know, actual loyalty. Stay at a Hilton when they want, and go get elite status somewhere else, where they can get an actual promised late check-out. Unavoidable that the meager on-property elite benefits don’t get cut even further. Not a lot of great case studies out there of something that was exclusive becoming ubiquitous, and somehow also improving. To expect otherwise is fairly delusional. I tend to be in agreement with others on this being great news. The ONE thing Hilton needs to do is make their currency or points transferrable. That would be truly game-changing, in combination with keeping this card. Plan to get this when it goes live and leave my Surpass Card. 1. For Hilton, their Honors program is a marketing tool that is supposed to “generate significant repeat business by rewarding guests with points for each stay at any of their more than 4,900 hotels worldwide.” In 2016, Hilton Honors accounted for 56% of Hilton’s system-wide occupancy, which contributed $17B to the company’s bottom line – a yuge return and clear evidence of a successful marketing strategy. No wonder they want to do more of the same, but on steroids! 2. Hilton’s internal data have indicated that the percent of spending they capture from HHonors members increase with the members’ tier status, so, H Honors made it easy for members to make Gold; began status-matching to Diamond, which they seldom did before; and, with the HH AMEX Aspire card be rolled out in January, will be offering Diamond status for “just” $450/year. Yup, “give them status, and they will come”, and I have little doubt that they are making the correct bet. — Funds collected from HHonors members’ spend is used to reimburse hotels for points redeemed for free stays. That means that if HH points are redeemed for free stays at Hilton properties, then HILTON HOTELS GET REIMBURSED IN REAL MONEY, thereby keeping the money and all economic activities associated with points redemptions WITHIN THE COMPANY, which thus GROWS. If Hilton had made the transfer of their points to airline miles favorable, like SPG did, all that money and economic activities that would have stayed in house would be going out and up in smoke as lost revenue. Have any doubt? Just look at what happened to Starwood/SPG when (a) its transferable currency, the starpoint, became more popular for redeeming for airline tickets than for free stays at Starwood properties, and (b) people started getting the SPG AMEX just to earn starpoints to redeem for airline tickets, without ever setting foot inside a Starwood hotel. We know what happened: after years of running program based this faulty model, the company’s growth came to a screeching halt, shareholders bitched, the CEO at the time was canned, his replacement bailed out almost immediately to go run an entertainment company, and on the auction block Starwood went. That is the tale of two programs and the consequences of one hospitality company turning a hotel points currency into a popular vehicle for getting free airline tickets instead of free hotel stays, while the other encouraged members to redeem their points for free stays at company’s properties. The jury is out: we know which is the better loyalty economics model, so do not hold your breath until Hilton sweetens the value of transferring their points to purchase airline tickets because you’ll turn blue and die. It simply won’t happen and, in fact, based on the demise of Starwood, AMEX won’t let Hilton also commit suicide. Just look at what happened to Starwood/SPG when (a) its transferable currency, the starpoint, became more popular for redeeming for airline tickets than for free stays at Starwood properties, and (b) people started getting the SPG AMEX just to earn starpoints to redeem for airline tickets, without ever setting foot inside a Starwood hotel. We know what happened: after years of running program based this faulty model, the company’s growth came to a screeching halt, shareholders bitched, the CEO at the time was canned, his replacement bailed out almost immediately to go run an entertainment company, and on the auction block Starwood went. This is truly #FakeNews at it’s finest…the intellectual dishonesty is mind boggling. @UA-NYC, there isn’t fact in anything @DCS says. He lives in a fantasyland and has to make things up to support his positions. Just wait for his response to this! (what a conundrum for @DCS: stay silent and let us think you live in fantasyland or speak up and prove it). 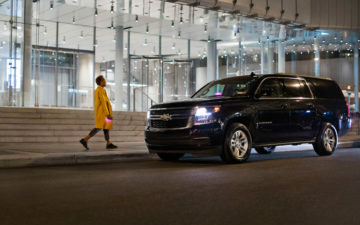 “We were convinced that Hilton would be more effective at driving convention and group business to that hotel,” says Leland Pillsbury, Thayer’s CEO”. Whatever. It’d be nice if DISQUS were implemented here so that comments, often posted on the fly, in transit or from a tiny handheld, can be edited for clarity. HOT had slowing growth as most of the industry growth was at the budget end. Fact. As a midsize company they did not have the scale that other companies did. It was a smart strategic play. And they did have strong growth, fact. Just not in the budget end. 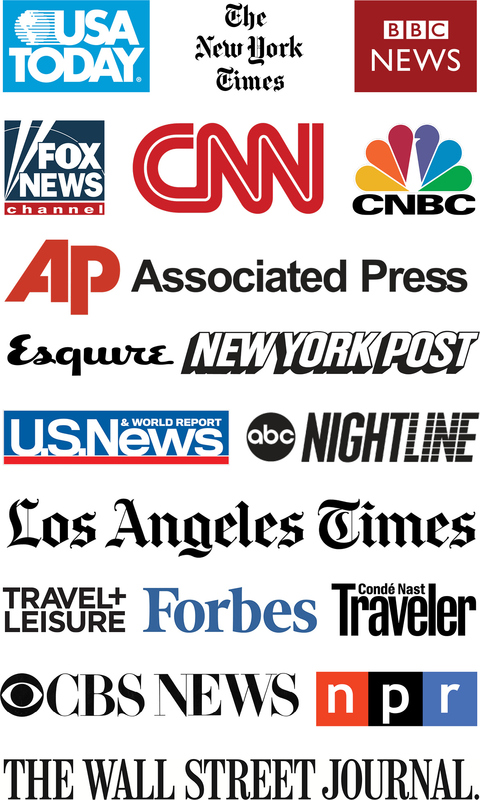 To suggest the ability to transfer points to airlines and/or a good credit card for everyday spend caused the company to be sold is beyond #FakeNews. As is the claim that the majority of points earned get transferred. Zero basis in any fact whatsoever. But DCS hates seeing Hilton put in a negative light, so he redirects and makes up garbage lies about Starwood. And now back to Hilton’s loyalty “experiment” that will likely end true loyalty to the brand. We need to be careful with Hilton points! They have devalued there points 2 or 3 times in the past and no doubt will devalue them again in the next few years. To the best of my knowledge SPG has not devalued ever!